Today you will visti Guatemala City, were you will be able to learn and see the culture that represents the country. 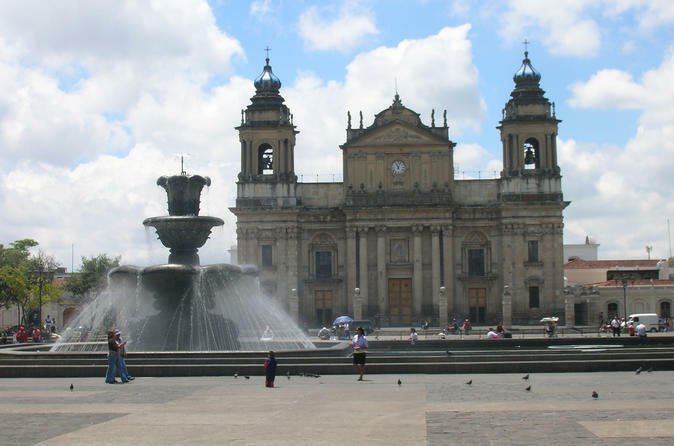 At 09:00 a.m., you will be picked up at your hotel for a panoramic sightseeing tour of Guatemala City where the principal sites you will see include the National Palace, Cathedral, and Civic Center Complex. You will also visit residential areas, for an overall view of our rapidly growing metropolis (NO shorts or bathing suits permitted). After visiting you will be transferred back to your hotel. In this tour you will be able to see what makes Guatemala a country full of culture, traditions, and great people which you will remember forever and will make you want to come back sooner than later.